Experiment Farm Cottage celebrates 50 years! 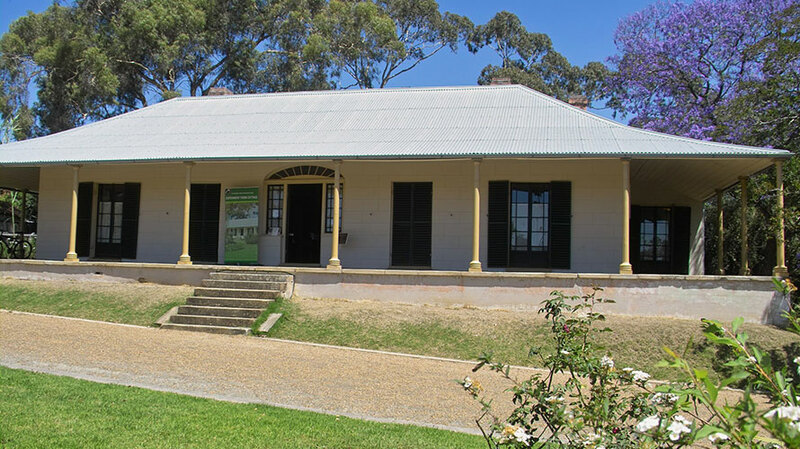 2013 is the 50th anniversary of the National Trust of Australia (NSW) opening Experiment Farm Cottage as a house museum. On 20th July 1963 the NSW Governor Sir Eric Woodward officially opened the museum, the first such museum dedicated to Australian colonial furniture and lifestyle. On 20th July 2013 Governor Professor Marie Bashir will unlock our history for a new generation of museum visitors. 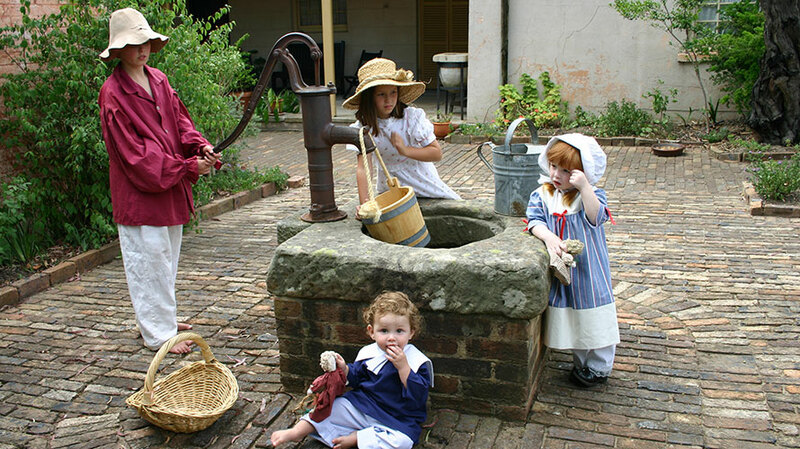 The are of now hundreds of house museums across Australia, but Experiment Farm Cottage still stands as the blueprint. We have come a long way in 50 years and look forward to sharing stories of the collection, the house, the people and most importantly the land with you. Experiment Farm cottage stands on the site of the first land grant in Australia, made in 1789 by Governor Phillip to the former convict James Ruse. By 1791 Ruse had successfully farmed the 30 acre site as an experiment in self-sufficiency, proving that a new settler could feed and shelter his family with relatively little assistance to get started. The Indian-style bungalow there today was built by Surgeon John Harris, who purchased the land from Ruse in 1793 for £ 40. It is thought to have been built by c1835. It is one of Australia’s oldest standing properties and features in an 1837 sketch and subsequent watercolour by Conrad Martens. The house is furnished to reflect the home of Surgeon Harris, with simple but elegant pieces from National Trust’s collection of early colonial furniture, the largest of its kind in Australia. In the year 2000, the National Trust landscaped and planted the immediate grounds, using evidence from early paintings, plant catalogues and photographs to recreate, as far as possible, an authentic setting for the cottage. Guided tours are available, and a permanent display in the cellar tells the story of the site in all phases of its occupation; Indigenous and colonial to the present day. Guided tours, occasional special events. Admittance by guided tours only. Please not photography is not permitted inside the cottage. A friendly welcome awaits before you explore this simple but elegant cottage and embrace its occupants’ stories. The relaxed atmosphere and fine colonial furnishings take you to a time of colonial pioneering and development. Experiment Farm Cottage is part of an historical precinct which includes Hambledon Cottage (1824), Elizabeth Farm (1793) and the Queen’s Wharf, all within easy walking distance of each other. Parking, space for picnics in landscaped grounds with expansive views. Weddings photographic shoots. Children love exploring the life of Ruse’s family, learning about self sufficiency (hands on planting), Harris’ role as a colonial surgeon and the workings of an early colonial household. The cottage garden is a hands-on sensory garden.